Want to control your own horde of zombies and take over the human race? Of course you do. 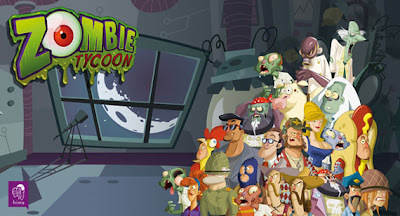 Previously only available for the PSP, Zombie Tycoon takes the gameplay elements of titles such as Rollercoaster Tycoon and Railroad Tycoon and replaces that junk with zombies! Available on the 29th! Oh you're kidding me?! DAMN YOU PLAYSTATION!! This better eventually come out on XBLA.. grr..